Hello 2019! 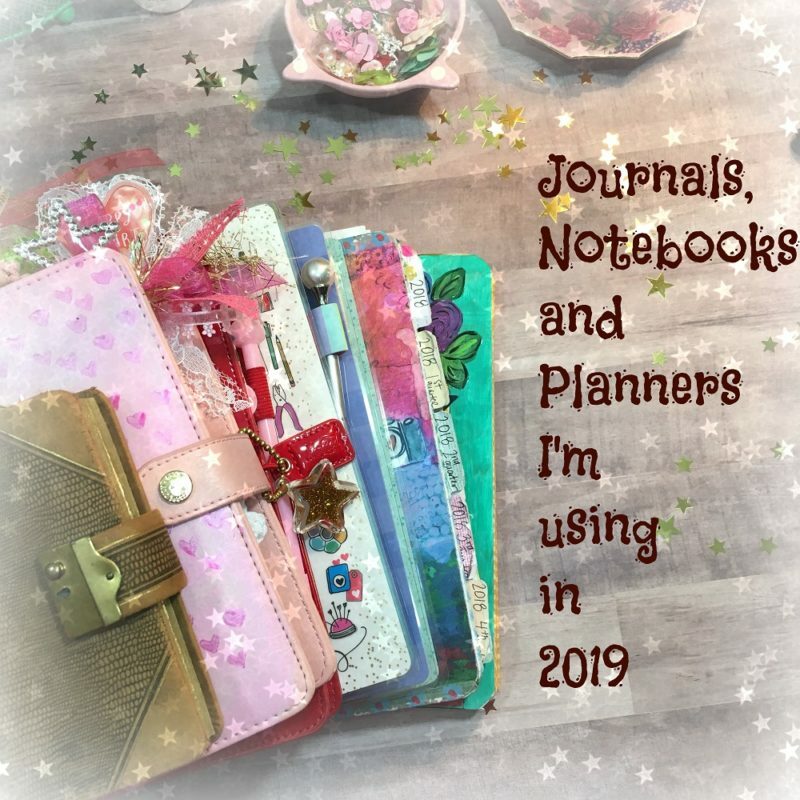 I know we are currently in February but it takes me a while to gather, write and figure out a planner and journal system for 2019. I have summed it up in the following notebooks. 1) Vintage 1920’s diary for writing inspiration such a scriptures and quotes. 2) My Everyday Planner which is a personal size ring bound planner. This literally houses EVERYTHING! Appointments, ideas, notes, daily schedules. I carry this everywhere and I love to make it pretty and magical to look at! This means tassels, paperclips and pretty papers! 3) Traveler’s Notebook Journal~ This is also something I carry with me daily. You never know when you may have a chance to write! Mu goal this year is to write daily. 4) Happy Planner for Business~ This is a new planner in my current system. In the past I have kept my business planning in with my personal planner but I have new goals this year for my business and need a planner to keep me on task. 5) Happy Planner for Memory Keeping~ One of my favorite projects for family documentation. This is what I call a year at a glance. 6) Master Notebook~ This houses sketches, notes, brain dumps, ideas, plans, vacations, birthday parties…pretty much everything! 6) One Little Word SHINE Notebook~ This is my notebook to write, document and allow the word SHINE into the everyday. (I posted a video yesterday on this notebook for a closer look). So that is my System for the year. I created a quick video where I talk about each as well! Thanks for watching!